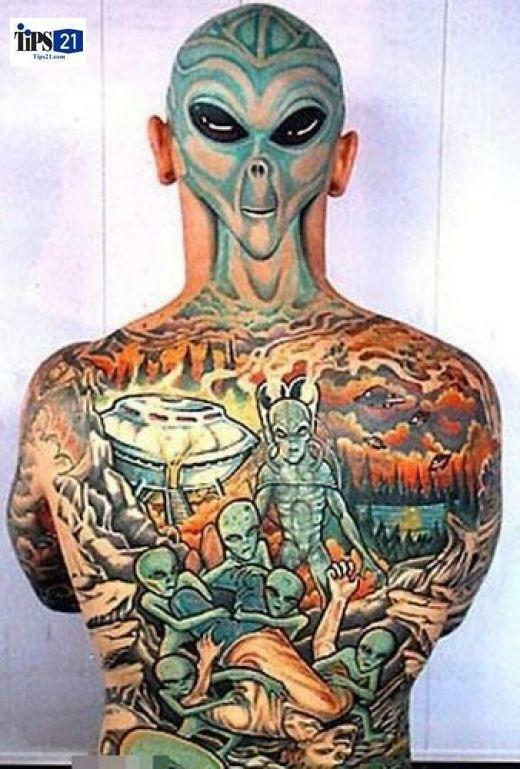 Tattoos are all about showing off your personality. 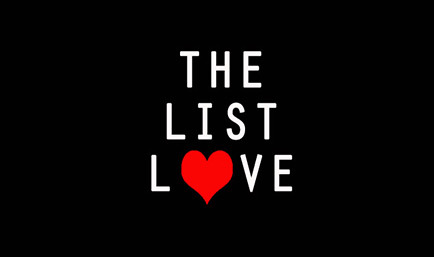 Some people choose to have a loved one’s name tattooed on their wrist, others opt for a symbol that means something personal to them. And some are just downright weird. We all want to wear stylish clothing, but sometimes there’s no way we can afford the expensive price tag. 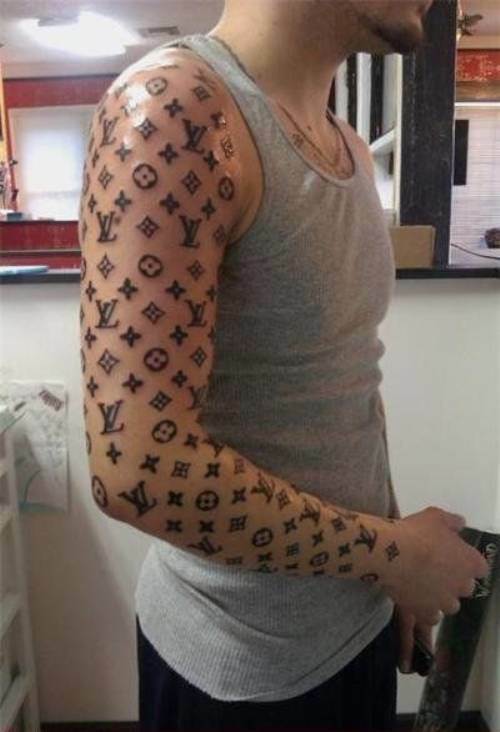 So, one solution is to always tattoo the brand on yourself. Have you ever felt blind to the whole world around you? Of course you have. 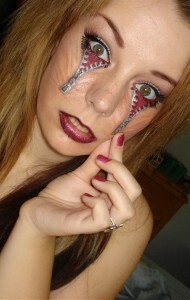 The natural solution is to get some zips tattooed onto your face, obviously! 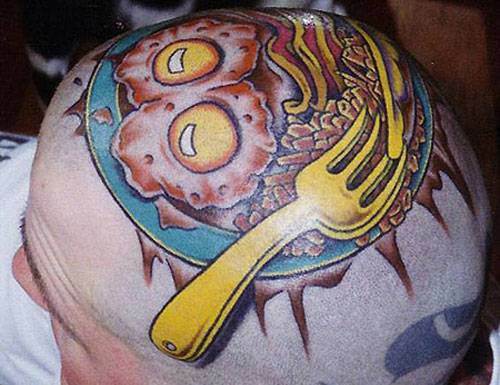 They say you are what you eat, so this guy must be a cooked breakfast. If you ask us he should have added more bacon to the plate. You can never have too much bacon. Do you ever wish you could have eyes at the back of your head? And a curly moustache to match? No? Us neither. There are times in life when two eyes isn’t enough. One blink and you’ve missed an important moment of your TV show or dropped something the second you look at something else. 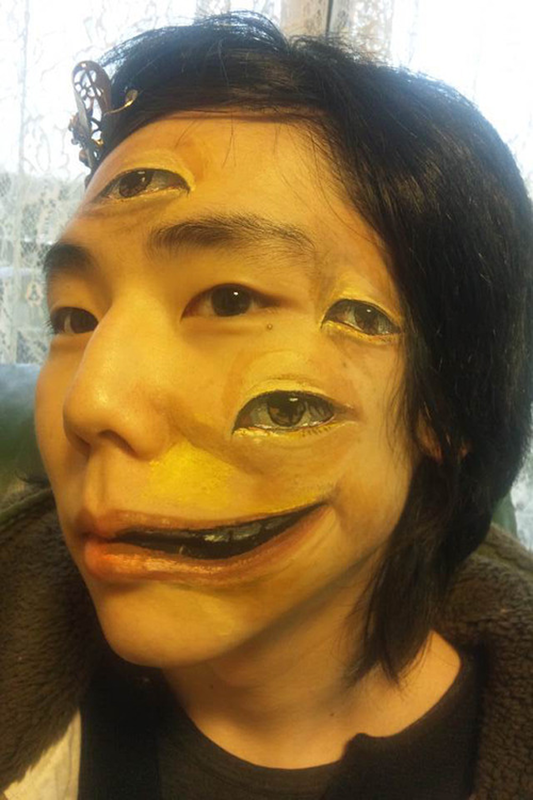 Tattooed eyes are sure to really help. Honest! 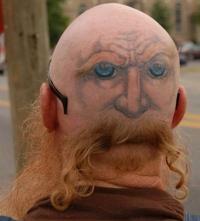 All we can say about this is thank God it’s a tattoo and not real. We can’t help but think it is, though. Eurgh! Are you sick and tired of people saying you have a big gob? Next time they do, show them this image. That’ll shut up their big gobs! Each and every one of us is some kind of alien. However, some are more alien than others. We wonder if the front matches his back? What’s life without a bit of colour in it? 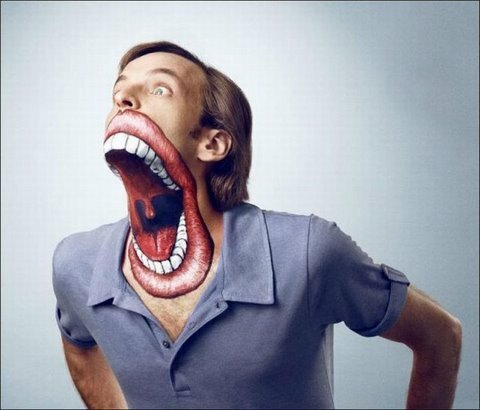 It makes life a little more interesting – and this guy’s face is definitely that. 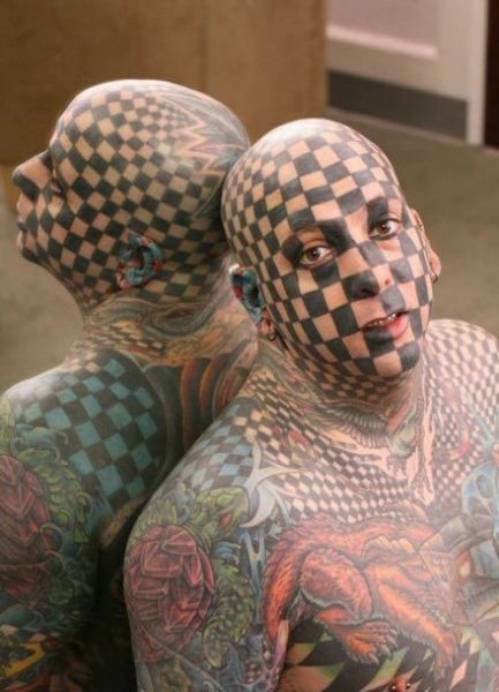 Sometimes you feel like a game of checkers and can’t find a board. So what do you do? 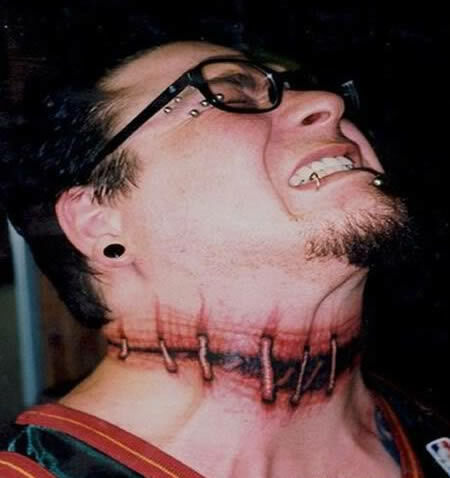 You get one tattooed onto your face. Duh! Have you got a favourite tattoo from above? Have a crazier one you’d like to share? Don’t be afraid to let us know by email or in the comment box below. I truly hope that some of these are fake/temporary. Ha! I know. I pray to God they are! I haven’t got any tattoos and after seeing these I don’t want any!